Just when we thought we would see a new year code early in January in the Roald Dahl Prestige Stamp Book we find that they have the M11L code for 2011! The conventionally gummed PSB pane has 2p, 10p & 68p stamps in, with the 68p having security features. The image shows all the stamps with security slits but that would only happen if they were self-adhesive. See Comments below about printing process and printer for this pane. Do you know if the M11L code is actually suppose to be on the stamp? I am thinking of what happened when Cartor printed the 5p and 54p stamps in the Classic Albums PSB and didn't have the correct font, so substituted another font. Perhaps Cartor just used the M11L security overprint as that was what they had, and Royal Mail did not supply them with the 2012 version. It's certainly a possibility Chris, but as nobody at Royal Mail makes any announcements about the security codes it is impossible to say at this stage. 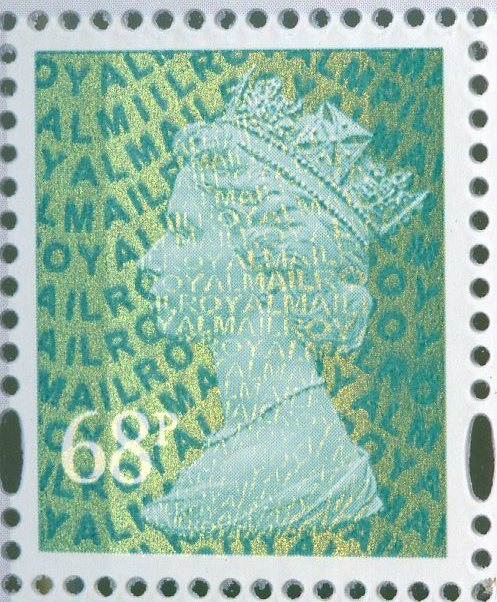 The pane was announced as being printed in gravure and both the irregular bottom edge of the stamp frame and swarf present in the perf holes indicate that this is the case ie they are not comb perforated as on litho panes. As Cartor have no gravure press, it would seem almost certain that the panes were printed by the parent company, Walsall. When year dates first appeared on definitives a Royal Mail spokesman told me that they were intended to indicate the year of printing. Although this does not seem to have been consistently applied, there is no reason to expect that this prestige book would be printed in 2012. More to the point, I think, is why is there a year date at all for what is a one-off issue? The MPIL code indicates the source and should be sufficient for quality assurance purposes. The same would apply to the forthcoming diamond jubilee stamps; they do not need a year date either but what's the betting that they will have one? I agree with Douglas on the printing of the dates. 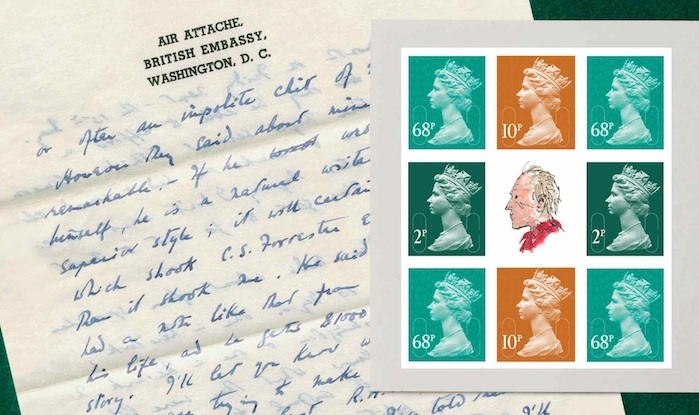 Most special issue stamps including PSB are printed well in advance of the issue date. These were most likely printed about June to August time so have the date of M11L. I agree also with the point about 'why have a date' after all these 68p stamps are a 'one-off' so it can not be difficult to trace where they came from. As a follow on from this back in September 2010 several issues of the self-adhesive counter and business sheets were printed with MA10 date code but when a second batch was printed in November 2010 they had the date code of either M11L for small stamps or MA11 for the large letter rate stamps. This is what makes our hobby interesting.